So, we finally went from a slew of alerts on romaine lettuce to a series of clear-cut recalls affecting various produce items, including romaine lettuce and cauliflower. This is the worst time of year for Canadians as our economy is more vulnerable to outbreaks in imported produce. Chances are cauliflower will be very expensive and lettuce will either be hard to get, or shelves will be stocked in the same way as we saw during the several alerts throughout this year. Unlike before, the Canadian Food Inspection Agency was finally able execute a recall. This time, they have a company, a name, brands, lot numbers and products they can identify. One single farm appears to be responsible for this E .coli outbreak: California-based Adam Bros. Farming Inc., one of several scaled producers of leafy greens in the state. Many verticals appear to have been affected by the outbreak, including romaine lettuce, cauliflower, red leaf lettuce, and even sandwiches containing products from the same farm. Without knowing the actual cause of the contamination, authorities were able to pinpoint a specific culprit by simple deduction. Back in 2006, in the aftermath of the deadly E.coli outbreak affecting spinach, Adam Brothers, along with over 115 other producers, signed the Leafy Green Marketing Agreement. These signatories represent more than 98% of all leafy greens produced in California. According to many sources, at least 276 consumer illnesses and 3 deaths have been attributed to tainted produce from these growers. In Canada, during this episode, it was next to impossible to buy spinach. Losses for the spinach industry were significant. The industry went along with a rigour-charged voluntary system, as it vowed never again to go through something like the 2006 E .coli outbreak. This industry-led initiative, called the Leafy Green Marketing Agreement, garnered some impressive results, until now, that is. This time it’s lettuce. Implications for the industry could be massive, and potential losses could run into the hundreds of millions of dollars. As it was with spinach, the entire industry will be affected, not just Adam Brothers. 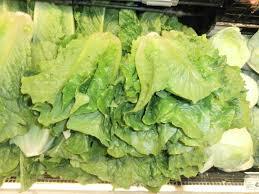 Lettuce is one of the big sellers which will affect the entire supply chain, from farm to retailer. At retail, some of these products have profit margins exceeding 50%, so grocers are not at all pleased, as they are having to issue many refunds, as well as deal with the fallout from the recall. Protocols and regulations are already in place. Checkpoints, audits, inspections, everything was designed to increase compliance across the industry. But in spite of this, some evidence points toward complacency. According to industry reports, while the number of unannounced audits remained stable at around 80 per year, the number of scheduled audits has been declining steadily since 2010. They went from a peak of 589 in 2010 to less than 380 in 2017. That is a 47% drop in self-regulated audits that the industry needs in order to keep things in check (see graph below). This is a substantial shift. Yet, in the industry report from the Leafy Green Marketing Agreement, not a single explanation was offered as to why the number of audits had dropped. The Leafy Green Marketing Agreement came out of the crisis affecting spinach. This latest recall is telling the industry that the will to implement more rigour has a short lifespan and needs to resuscitate before another consumer dies. Reports posted on the group’s website read more like self-congratulatory remarks than food safety concerns for the consumer. After 12 years, perhaps it is time for the industry to revisit some of the fundamental reasons the agreement was set up in the first place. This is about mitigating the risks that come with relying on global food supply chains. The very nature of these systems means one mistake will affect many at once. Rigour cannot be compromised. But we also have our own issues here in Canada. From what we now know, products from Adam Bros Farming were being sold in at least 6 provinces across the country. However, the Public Health Agency of Canada sent out alerts related to romaine lettuce covering only three provinces: Ontario, Quebec and New Brunswick. This went on for weeks. From the start, most knew it was almost impossible that the outbreak could only affect three provinces. Many grocers across the country were ahead of of the Public Health Agency on this, as most pulled romaine from their shelves even if the alert hadn’t included their province. Over this holiday season, we can’t blame consumers who will be avoiding lettuce or cauliflower in order to protect themselves and their loved ones. Turnips, anyone? Sylvain Charlebois, Professor in Food Distribution and Policy, Dalhousie University. Senior Director, Agrifood Analytics Lab at Dalhousie University.